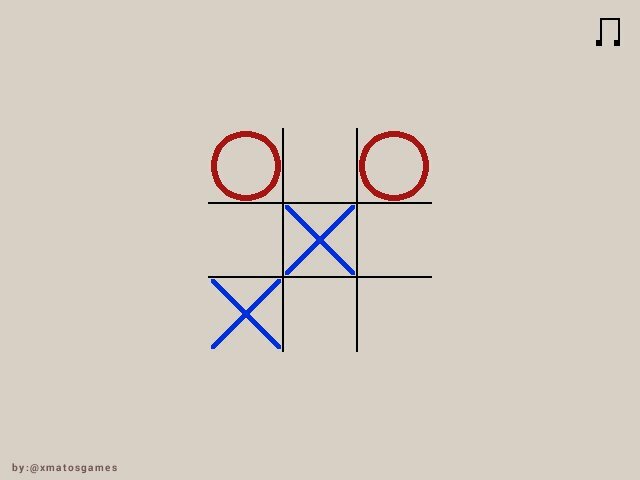 It’s just a simple game of Tic Tac Toe and nothing more, your goal is to make horizontal, vertical or diagonal rows! It’s recommended to play with sound on. next time doing something like this, it would be really good if you could give some more characterization and personality (which you kind of did in this one) and an actual character arch to the being who the player is interacting with and is interrupting the game. Loved it. Really enjoyed the twist and the audio was great too. I like how the mechanic kept evolving. The enemy AI could use some work, I'm not sure if it's intentional, but it does some silly mistakes and loses even when it doesn't have to. Would be cool if you could develop it further, but I'm not sure where the idea can go.